Water damage in Boca Raton seems to happen at inconvenient times. Water damage in your Boca Raton home happens for many reasons; your HVAC system or a pipe in your water system springs a leak or perhaps your gutters are clogged, or your sewer system backs up. Whatever causes the leak, the water damage can be very damaging to your home and your belongings. Contact a water damage restoration company to preserve the integrity and safety of your home or business. Water damage always seems to happen at the most inconvenient times. You may be tempted to take matters into your own hands and try a quick cleanup of the water damage yourself, but in the end, you could be leaving behind remnants of the flooding behind that can fester and breed bigger problems for your home or business, including serious health risks. Water damage creates the risk of many issues. Mildew, mold and harmful bacteria growth from water damage create health risks and an unhealthy environment. Water damage can also affect the very structure of your home and create bigger and far more costly problems down the road. 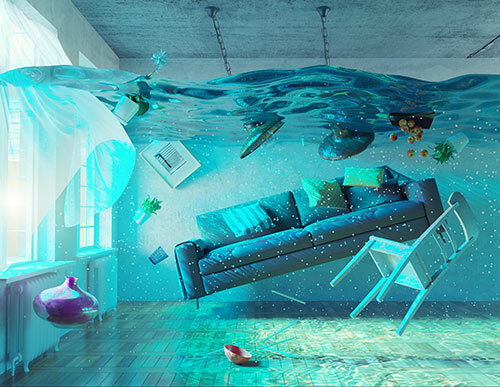 Water damage can seep through and damage your home’s foundation, ceiling, walls and flooring, even furniture and other belongings or valuables. It may be tempting to turn on the ceiling fans, open doors and set large fans around the room after water has flooded a space in your home or business. But this is neither efficient nor effective. To get the job done right to prevent further damages and health risks, you need to call the professionals in water damage cleanup and restoration. Professionals are highly trained to assess the damage and utilize their specialized equipment and techniques to remove the water, dry the area sufficiently. Water damage and restoration professionals use special dehumidifiers, fans, floor and wall dryers, blowers, air purifiers and deodorizers to quickly dry the space out from every angle. If mold and mildew growth is found, they may use sanitizers as well as special remediation equipment and techniques to prevent further growth. Water damage doesn’t always seem like a big deal right away. It’s what may be lurking under surfaces and out of sight that can turn that small leak into a homeowner’s worse nightmare. The costs of hiring a professional water damage cleanup and restoration company is minimal compared to the costs of permanent damages your home could sustain down the road or the risk of health problems due to living in an unhealthy environment from the lack of an incomplete or inefficient water damage cleanup. When you call Emergency Express water damage cleanup and restoration professional’s, you’ll feel confident that your home is back to being the safe and healthy environment for you and your family when the job is done. 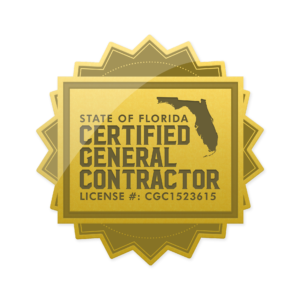 This entry was posted in Boca Raton, Damage Restoration, Water Damage and tagged water damage cleanup, water damage restoration.